RARE and UNIQUE find with this nearly 2200 sq/ft + 550 sq/ft legal GARAGE SUITE in Glenridding Heights! 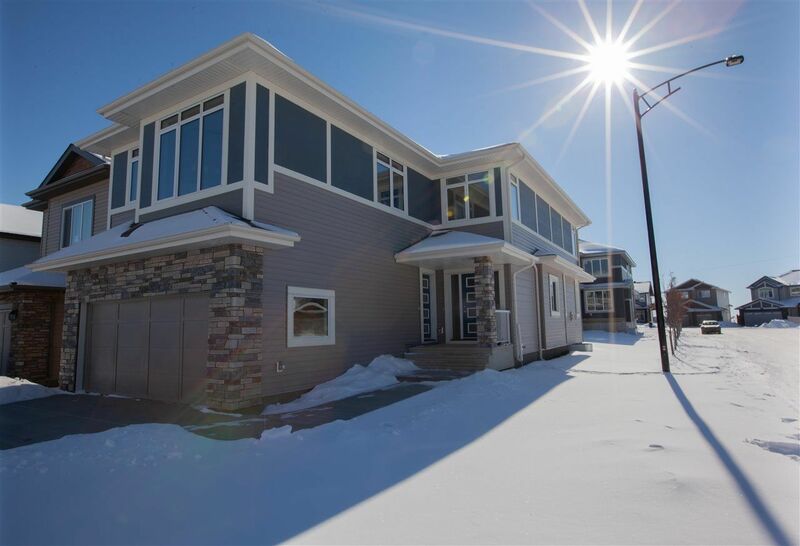 An immaculate 2 storey home that is loaded with platinum upgrades and is suited for any growing family and can supplement the mortgage with rental income from the garage. Some of the many great features include: cabinets to the ceiling, quartz in the kitchen, soft close cabinetry, iron railing spindles, extra windows, fire place, upstairs laundry and 9’ ceilings! Walking through the front door you and your guests will be impressed with the open and elegant design. The kitchen is a focal point and has a massive 8’x5’ quartz island and plenty of counter space! The main floor has a den; & upstairs has three large bedrooms and a 5 piece ensuite! The garage suite is fully equipped and has 1 bedroom, living room, large kitchen, laundry and a 4 piece bathroom! Landmark builds exceptional, quality homes that focus on sustainability and efficiency. Exceptional value, do not hesitate!